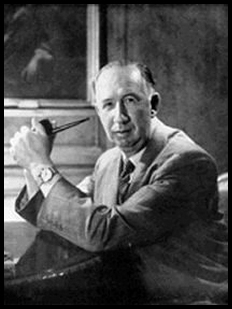 During the last decades of his life, Nevil Shute's name became a warrant of that rarity--an exciting story, honestly conceived, even if devoid of much literary grace. Trustee from the Toolroom will enhance Mr. Shute's reputation with his now vast audience. The reasons are numerous. Item, a hero apparently the most ordinary, the most prosaic of little men, who ends by winning the affection of any reader not an utter curmudgeon. Item, an adventure story full of the neatest twists and turns whose charm lies precisely in the fact that they are firmly anchored in reality. Item, a couple of fresh ideas animating this story, so that it is guaranteed to entertain not only the lover of a good yarn but the more reflective reader as well. While not in the conventional sense a "man's book," it makes a special appeal to all males who have ever fooled around with machinery or made a hobby out of working with power-driven tools. In a way Trustee from the Toolroom might be called a picaresque novel of modern engineering. Its central situation is a real gem. Keith Stewart is a middle-aged, unassuming, ill-educated citizen of a London suburb. He has a first-class engineering brain, but doesn't know it. His hobby is making mechanical models in his basement toolroom. His modest job is running a correspondence column for a magazine called Miniature Mechanic, an activity which has brought him a certain reputation among similar-minded hobbyists all over the world. His brother-in-law, a naval officer named Dermott, asks him to construct a box suitable for holding "a few jewels" which Dermott is going to take with him on a six-month yacht cruise to Far Eastern waters. Dermott conceals the jewels (really his entire fortune of some £26,000) in the yacht bottom. Dermott also leaves his 10-year-old daughter with the Stewarts until he is ready to send for her from his final port of call, Vancouver. Well, Dermott is wrecked on a coral reef 300 miles due east of Tahiti, and he and his wife are killed. Wispy little Keith Stewart is the trustee. He suspects what is in the box. He knows it is still somewhere in the wrecked yacht. Problem: how, without money or friends, is he going to travel 12,000 miles and retrieve the treasure for his little niece? The solution of the problem makes the story, and a cracking good one it is. What renders it fresh and original is not only the incidents of travel (Mr. Shute could make even the most repulsive form of voyaging, flight by air, interesting) but the special view of modern society these incidents develop. In the Middle Ages there existed a confraternity of men, the clerks: those who could read and write Latin. This common understanding bound together men of the most diverse regions, classes, and cultures. Keith Stewart, the modest craftsman of mechanical models, is a member of a similar confraternity of our own time, the new clerks: those who know and love machinery. Keith carries with him, as a kind of talisman, a tiny generator set he has built with his own hands, the smallest in the world presumably, yet able, once the engine has been started with the flick of the thumbnail, to generate enough electricity to light a pea bulb. Merely by exhibiting this toy to like-minded men, and by talking their language, and by being Keith Stewart, the Miniature Mechanic expert, he makes friends and influences people wherever he goes. Not only does he hitchhike his way to an unmarked coral reef, but in the course of his journey he manages to collect $17,000 to boot. The story is delightful, funny in a grave, deadpan way, and full of a warm sentiment that only a Scrooge could call sentimental. It is a book about a good man who does not know that he is good, an untutored genius who does not know his own strength, and a happy man who has never once thought abstractly about happiness. Mr. Shute told his yarn straight, without frills and without subtlety either. But these days there is so much fake "literature" published that your judges have no hesitation in recommending a book that is certainly not destined for the ages but is equally sure to afford a couple of evenings of delightful entertainment.